Spring is on its way and with that comes the better weather that is bound to brighten up the office. However, due to the time of year, it doesn’t mean that work will grind to a halt and leave employees dreaming of summer days spent enjoying the weather. It also doesn’t mean that you should just let spring pass you by. If your office sees spring as just another season, then it's the perfect opportunity to think about making a change and prepare a plan to change this. Look at team building days to get everyone out and enjoying the better weather - after all, this plan doesn’t have to include solely office activities. In fact, it would probably be far more beneficial to get everyone out of the office to enjoy the spring. It's far better than sitting in the office and staring out the window wishing to be out and about enjoying the season. But before you make plans for your team, you may be curious about what activities you can do on a team building day. Although the sun is starting to peek out from behind the clouds, it still may not be the best time to venture outside for your team building activities. If you're wary of the weather, it may be better to choose from the wide range of indoor activities that will allow everyone to get involved. One recommended activity is Puppet Masters - everyone can take part and have fun whilst doing so. The aim of this game is to break employees into teams; it requires concentration, coordination and the willingness to have fun. Each team will work to master the moves of the puppet before picking a song to perform for the finale dance. This particular activity is designed to be fun and motivational whilst also allowing employees to expand their skills in project planning and strategy communication. However, just because the weather may not yet be perfect, it doesn’t mean to say that it’s not tolerable. 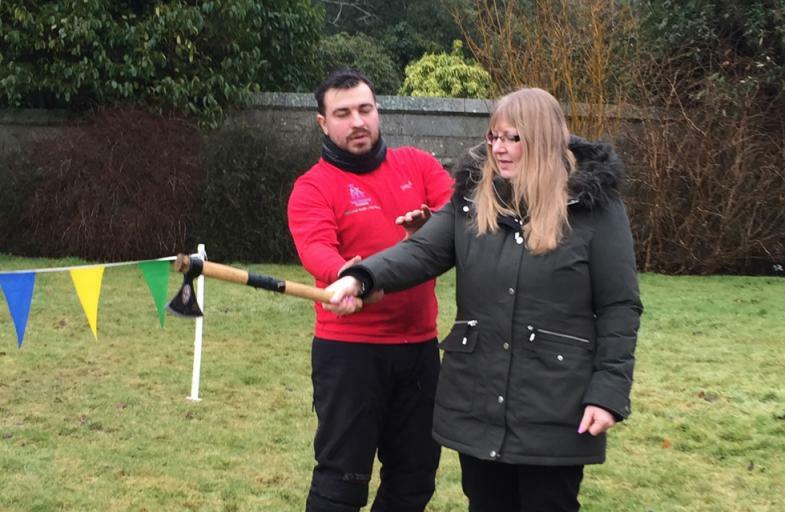 If you would prefer to take part in outdoor team building activities, spring is a great time to start looking into organising events for your team. It’s a Knockout is the perfect outdoor activity as it’s fun and motivational but still has the added benefit of being outside, which is perfect on a warm spring day. This activity requires you to choose from a huge selection of inflatables - each one will allow you to do different things but all are bound to get your heart racing. So, whether you decide to stay inside or out, don’t let this spring pass you by. Team building days are ideal for everyone in the workplace and it will definitely get everyone in the right seasonal mood. For more information or to organise a team building day for your office, please contact us today.